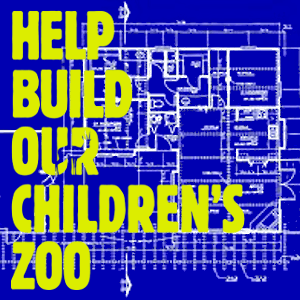 To become an Individual Zoo Builder simply pick the ZooBuilder Donation Package of your choice – Friend of the Zoo, 1-2 Person Encounter, 3-4 Person Encounter, or Zookeeper for a Day – and choose the amount you would like to donate from the drop-down list, then click “Add to Cart” to be redirected to PayPal or credit card payment. The Valley Zoo Development Society cannot thank-you enough for you generosity! Become a “Friend of the Zoo” by donating $49 – $249 today. As a thank you for donating an amount between $49.00 and $249.00 you’ll receive an official tax receipt for the full amount of your donation. Thank you for supporting the Zoo!